We have teamed up with Latticia Organics who currently supplies our organically sourced vegan, all over body, soufflé moisturiser that can be refilled at our shop! This product has already stirred up quite a following, and we receive numerous requests asking for it - plastic free, natural and local! So, what could be better than turning to expert Latticia to host our DIY Natural Beauty workshop!WHY DIY? Formulating your own products, not only places the control back in your hands by being able to actively understand each ingredient and their benefits but it also allows you to free your body from harmful toxins that are hidden in a lot of mainstream beauty products. It is also extremely eco-friendly as you can re-use the same container again and again which helps reduce plastic pollution as beauty and cosmetics is notoriously difficult to find plastic free! Simply mix the same creation whenever your DIY beauty product runs out.By committing to making DIY beauty products you are lowering your own personal single use plastic footprint whilst saving your skin from being exposed to synthetic chemicals, perfumes and worse! 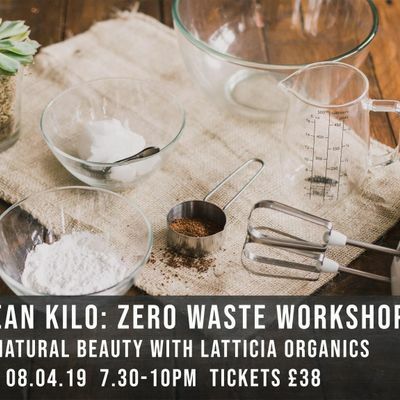 In our 2.5 hour workshop you will learn how to make three vegan friendly, cruelty-free, essential beauty products including a oil cleanser (that doubles up as a make-up remover), a coffee body scrub and a natural deodorant balm. You will be able to make your own labels for them and take them home in the glass containers provided. We will be using 100% natural ingredients that are readily available, so you can take the knowledge and recipe to make at home again and again! About Latticia:From as early as 14, Latticia learnt first-hand from her mother, how living a holistic lifestyle can positively impact her skin and her health. Latticia battled with acne and hyper-pigmentation through her teen years and there was nothing to show from potent skincare regimens and high coverage makeup. She decided she needed to adopt a wellness approach. By eradicating the use of harsh chemical products, eating better and making natural skincare products, she was able to understand her body better. Now at 23, Latticia has established LATTICIA Organics, a platform and brand rooted in wellness and sharing knowledge of organic and natural ingredients. Latticia believes that looking after your skin internally and externally is fundamental and she conveys this message to her community through digital content. 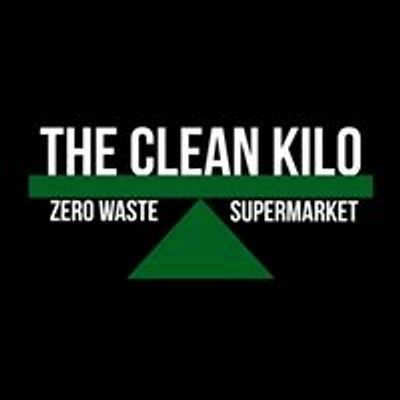 We are extremely excited to have her at The Clean Kilo to share her knowledge!In addition we will offer a complimentary loose leaf tea break and you will be provided with all the equipment, materials, and our plastic free snacks! Tickets for the workshop are £38. 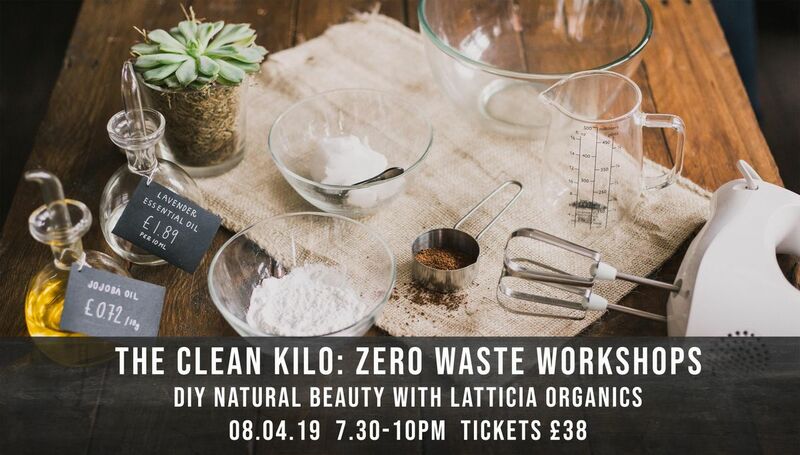 Planned itinerary for the evening:Monday 8th April 2019:7.30pm: Intro to zero waste beauty with Latticia Organics7.40pm - 8.20pm: DIY natural deodorant 8.30pm: 15 minutes loose leaf tea break8.45pm - 9.15pm: DIY natural oil cleanser (doubles up as make up remover)9.20pm - 10pm: DIY coffee body scrub Please feel free to browse around the shop for half an hour before the workshop starts - a heads up in case you want to bring your containers! Spaces are limited to 12 people per workshop. Please purchase tickets via Eventbrite, in store or over the phone 0121 389 3473. We are really looking forward to another fun evening, learning new skills with everyone!